Not exactly offended, but I consider her badly mistrained. 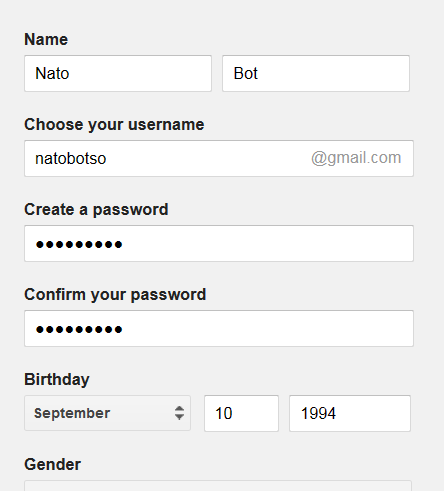 [ NATOBot ] How to use authorization API in ng-admin app? btw how is bot written in java? does SO has a JVM? chat lib is written in? yes but my question how is java executing here? @ColdFire What kind of data do you need to store? @JanDvorak Remember she is trained to find heat (offensive, abusive, spam) etc and to me it seems like she found a spam post. You should not see the reported comment as a problem of that specific comment but as a problem on that post. Interesting, is that the desired behavior? Thanks for the explanation. @ColdFire Does it need to be permanent? How much data do you think there will be? And does it need to be updated? Meh. Use a simple file yourself then. [ NATOBot ] "HK2 failure has been detected in a code that does not run in an active Jersey Error scope"
Need i/ps for NATO Bot, What should be the rep cut off for reporting here? That's a bit difficult to detect. @PetterFriberg Yep, I'm doing that next. ATM, I'm working on making the code run every 5 mins. [ NATOBot ] "How to draw a pressure gauge in canvas"
btw is new string("") more efficient then stringBuilder()? @ColdFire new String("") is useless. Just use ""
Oh yeah, Why is Thread.sleep not used generally? [ NATOBot ] "Is it possible to compile a program written in Python?" [ NATOBot ] "UICollectionView cell.ViewWithTag returning nil for UILabel"
So Yeah, I need to find out if the answer is already posted here. To prevent it from being posted again and again. maintain a flag i guess? Are you filtering the answers by time @BhargavRao? when calling the SE API? But, I've just put for 5 mins. I need to keep it till the timestamp of the previous post. How come you have the same answers if the code runs every 5 minutes, and the filter filters answers that are 5 minutes old? Nah, Code runs every 1 minute. The parameter that we need to pass is epoch time, rite? Okay, Now just pass it as "fromdate" and Job's done? [ NATOBot ] "iOS UICollectionView: Cells not showing"
[ NATOBot ] "Print a diagonal triangle in java"
[ NATOBot ] "How to do an INSERT into tables with circular relationships (SQL SERVER)"
[ NATOBot ] "Invoking Swagger Spring Webmvc api-docs got nested exception is java.util.NoSuchElementException"
[ NATOBot ] "Nagios client/plugins installation"
[ NATOBot ] "How to load a ComboBox with Items from a text file"
[ NATOBot ] "&quot;minifyEnabled&quot; vs &quot;shrinkResources&quot; - what&#39;s the difference? and how to get the saved space?" [ NATOBot ] "WordPress edit_user() and Cimy User Extra Fields"
[ NATOBot ] "How to skip the first n rows in sql query"
@tuna, How do I add seconds to an Instant? minusSeconds(-10)? [ NATOBot ] "How do I set a UInt32 to it&#39;s maximum value"
[ NATOBot ] "How to solve: ImportError: &quot;No module named &#39;graphlab&#39;?" [ NATOBot ] "How to use file path from a cell in VBA?" 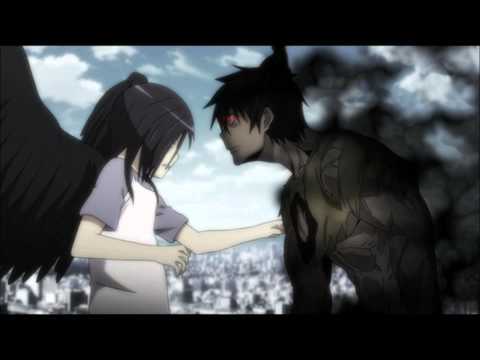 [ NATOBot ] "The &#39;EurekaPackage&#39; package did not load correctly - Visual Studio 2013"
Okie, Now I need to edit 10 posts. @BhargavRao Is that your final answer? [ NATOBot ] What is the intrinsic name of a function? Damn, the error strikes again. [ NATOBot ] list all indexes on ElasticSearch server? Damn, I don't find any nice post to edit! [ NATOBot ] How could I start a Selenium browser(like Firefox) minimized? [ NATOBot ] How can I access local database on react native? [ NATOBot ] How order status was chaged in woocommerce after PayPal EC Payment Finished? Yeah, If I add 1 second to the time stamp I'm getting this error. [ NATOBot ] Routing App Coverage File missing but not needed? [ NATOBot ] sql-server Renaming a column: Incorrect syntax near 'SP_RENAME'.? And it is the week-end! Oh, and @tuna Is there anyone else whom we need to inform about this bot? Yeah, Ample number of NAAs found. Guess we need to store that in some db. [ NATOBot ] python python is not recognized as an internal or external command why? feature-request Make those links protocol-independent. There are some mod things that kinda refuse to work over HTTPS still. It's getting better, but still not perfect.